On our little section of the web, we always like to think about dream cars. The vehicles we would love to own if we could just afford it. Or, if we could convince our partner to spend their life savings on the purchase. It would it be worth it, wouldn’t it? If you could wake up in the morning and drive a Ferrari or a Lamborghini to work in the morning. But why just include vehicles with four wheels in this dream? What if your dream car is actually, a motorbike? There are plenty of ways a motorbike beats a car when thinking about the dream machine. You might think that you’re tempting fate driving at ninety down the highway in a beautiful speedster. But you haven’t felt danger until you’re tilted at a thirty-degree angle over the road as you swerve between moving traffic. 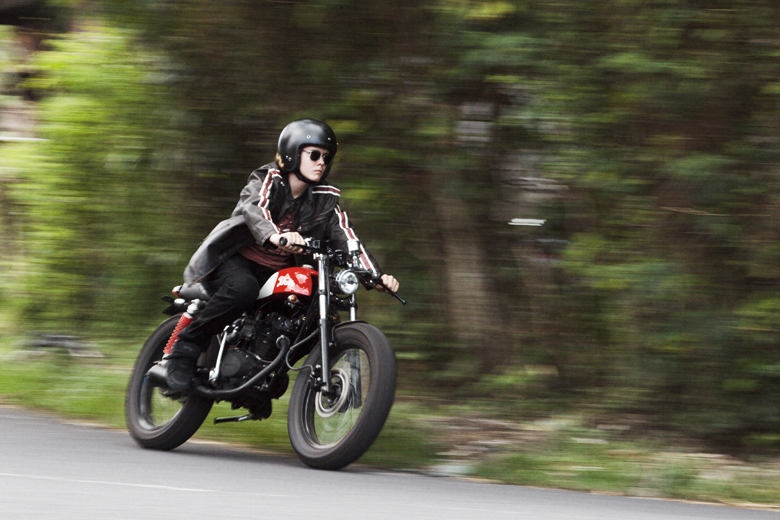 This is the lifestyle of the rider, and it’s one we greatly admire as well as crave. Just imagine speeding down the highway with the tarmac an inch away from your feet. Streamlining through the air,zig-zagging across the lanes. It sounds incredible, and that’s because it is. It’s common knowledge that motorcycles are more dangerous than cars, and that’s what makes them so exciting. If we ignore running costs, motorcycles are budget friendly. You can pick up a Kawasaki ER 6N for just under four grand that’s one impressive machine. Just imagine being able to cruise from zero to sixty within second as you grip the handlebars. If you want to do that in a Porsche, you’ll be shelling out at least forty grand. As far as the dream goes, a motorcycle is far more obtainable than your average sports car. The only thing that’s stopping you buying one of these is fear, rather than finances. Admit it, whenever you see someone riding a motorcycle past you on the road, you might mutter an expletive. Secretly, though, you’re thinking, boy do they look awesome. There’s something about riding the steel that just oozes appeal, and you know you want a taste. You want to know how it feels to see everyone stare when you dismount or pull up outside a bar. Forget an expensive sports car. A motorcycle offers the real deal when it comes to vehicle kerb appeal. It’s your choice how you want to ride your new motorcycle. You can get a dirt bike, spraying up mud offroad. Make the jump over a stream of water, skidding to the end of the track in a glorious finish. Or, use your bike every day on the road. Commuting to and from work will never be as fun as this. Say goodbye to the morning queues because you can whiz by on the far lane. You’re never gridlocked when you’re on a motorbike. Once you have some experience, you can take to the track. Try your luck against the professional riders in a display or daring bravery and skill. As it turns out then, your dream vehicle could be a motorbike. We don’t know if you’re convinced you want one, but we’ve definitely convinced ourselves!